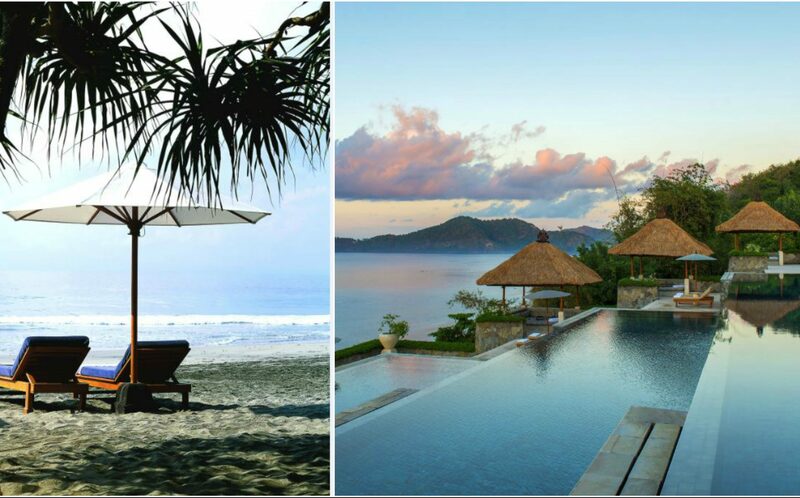 This year heralds landmark anniversaries for two of Aman’s Indonesian resorts. In Central Java, Amanjiwo celebrates its 20th year, whilst in Bali Amankila marks 25 years of welcoming guests to its hilltop hideaway. To mark their milestones, each destination has a year-long calendar of cultural enrichment and show-stopping spectacles for guests which includes, events, experiences and exhibitions that blend a feeling of celebration with a profound sense of place. With sweeping views over Borobudur, the world’s largest and most spiritually resonant Buddhist monument, Amanjiwo begins its year-long anniversary celebrations, inviting guests to participate in an array of 20-themed commemorative activities and unique adventures. Guests in residence on the 20th of each month will be invited to join a convivial evening of cocktails and enlightenment, which commences with a talk on Borobudur’s history and significance by resident anthropologist Patrick Vanhoebrouck. The evening will culminate in Borobudur itself being specially illuminated in celebration of the resort’s anniversary year as a backdrop whilst guests enjoy an anniversary dinner menu, taking them on a culinary journey of Javanese delicacies – many of which they can learn how to create themselves at one of the 20-minute cooking classes running throughout the year. 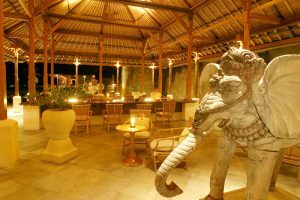 Here, under the guidance of Amanjiwo’s chefs, adults can discover the essential skills behind many of Java’s favourite dishes, including satay and nasi goreng, while kids can try their hands at ice cream, brownies and other treats. 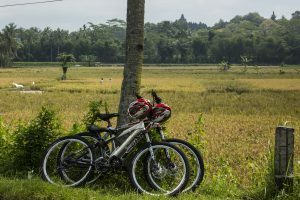 Across breathtaking landscapes of rice fields, bamboo forest and historic Javanese villages, a special 20th anniversary cycling excursion running throughout the year will take guests on a two-hour, 20km tour of Amanjiwo’s UNESCO-protected surroundings, with two route options available depending on guests’ ability levels. All participants completing the course will receive a ‘Amanjiwo 20th 20km’ yellow t-shirt. To showcase its two-decade relationship with the local modern-art scene, Amanjiwo is hosting a series of exhibitions and one-of-a-kind art events. Beginning with ‘The Sikepan Collection’, a show from Amanjiwo’s closest creative neighbor, the Dutch-New Zealander artist John van der Sterren, who has been collaborating with the resort since its opening in 1997, from the 1 January to 30 April. Many guests over the years have had the privilege of taking tea with John in his studio amid the rice fields and guests today will be greeted with an exclusive retrospective of his work, which captures the vivid colours and haunting beauty of the landscape surrounding Amanjiwo. From May 2017 Amanjiwo will display an art show titled ‘Topeng’. Topeng is a Javanese dramatic, storytelling performance accompanied by music, which originated from tribal dances in Bali and Java in the 15th Century. The dancers wear masks and bright costumes to represent the different characters in the story. Finally, from September through until the year end Amanjiwo will play host to a variety of new and upcoming young artists from the local Borobudur community and allow guests to meet and mingle with these aspiring young talented painters at their studios. 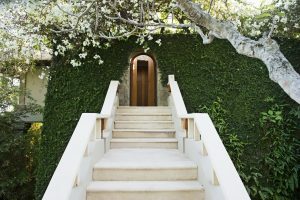 It is 25 years since Ed Tuttle’s dramatic, hillside-hugging architecture was first unveiled on the eastern shores of Bali, and in the decades since the resort has become not only one of the world’s most coveted and romantic destinations, but also an important part of the cultural fabric of the Karangasem Regency. 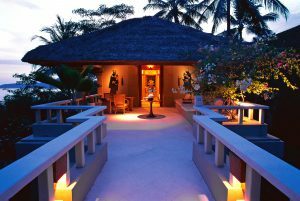 Fittingly, Amankila has drawn upon the creative and artisanal traditions of the area to colour its celebratory agenda. On four dates during 2017; Easter, August and during the festive period, the hotel team, most of whom have been with the resort since its launch in 1992, along with local village performers will present a captivating 45-minute stage show, The Story of Indrakila, which uses song, dance and the traditional art of shadow puppetry known as wang kulit to retell a tale from the great Hindu epic Mahabharata – one of the major philosophical Sanskrit narratives of ancient India. In one part of the story, the hero Arjuna meditates on Mount Indrakila – a scene depicted in a carving in Amankila’s lobby, which gave Amankila its name. 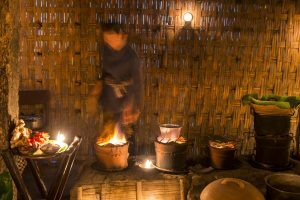 Amankila’s other multitalented team members will demonstrate their varied skills and passions to guests though a series of 25-minute masterclasses in their individual areas of expertise. These include; Kundalini yoga with senior guest assistant Murdewi, sketching and painting with housekeeper Sudarsa and engineer Parisuda, Kendang drumming with barman Nengah, Lontar manuscript calligraphy with guest assistant Arta and other 25-minute treats, including foot massages, temple blessings and nature trails. Younger guests can take advantage of a series of 25-minute programmes for children, including dance, drawing, kite making and flower arranging; while epicures and gastronomes can head to the restaurant for culinary courses in satay grilling, cocktail-making and more. The Amankila kitchen will mark the anniversary year with the celebratory communal dining tradition of East Bali, megibung and the Indonesian colonial banquet inspired by the country’s multiple ethnic cuisines, rijsttafel, on the 25th of each month. Between July and September, Amankila draws on two of the great artisanal textile traditions of nearby villages, with a three-month exhibition dedicated to the crafts of songket and geringsing taking over the resort’s boutique shop and gallery space. Delicate and elegant, interlaced with shimmering gold and silver, songket fabrics have been woven by hand in the Central Bali village of Sidemen since the 17th century. Taking over a month to produce and often involving an entire family in their production, they can be used for clothing, artworks or soft furnishings – each one a unique expression of Balinese cultural life. Geringseng – one of the world’s rarest forms of ikat weaving – has been practiced in the village of Tenganan, where it is thought to have originated, for many centuries. The tessellating geometric patterns of stars, diamonds, flowers and crosses that the technique produces adorn traditional Balinese clothing – especially on festival days and rites of passage, when geringsing designs are believed to protect the wearer from harm. For many weavers, the creation of single geringsing can occupy several years of their lives. In addition to the calendars of celebrations, the resorts will each amass a trove of Instagram imagery, capturing Aman life and adventures throughout the year, gathered under the respective hashtags #Amanjiwo20 and #Amankila25. On 1 January 2018, the best image, as decided by the resort teams will be awarded a three-night stay at any Aman Indonesian destination. 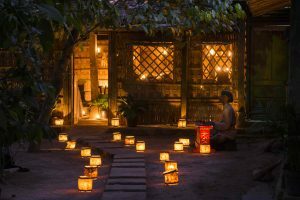 Throughout 2017, visitors to these Aman Indonesian sanctuaries can expect a heart-lifting anniversary atmosphere and a unique cultural awakening.